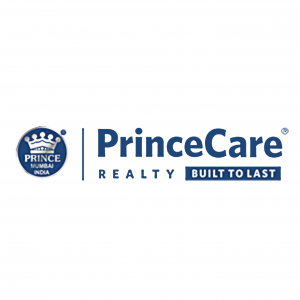 PrinceCare, a trusted name in realty and construction has evolved from the brand ‘Prince’, which was founded in 1970. ‘Prince’ has established a strong presence over a span of 45 years across different geographies. Princeware International Pvt. Ltd. has been India’s most trusted brand in manufacturing and exporting plastic houseware, thermoware and furniture, for the last 35 years. Our products have simplified life for people across 60 countries around the world. After a rich experience of business dynamism, Princeware decided to venture into the world of realty, which led to the birth of PrinceCare. 1970 – Prince Plastics was founded by Kishore Chheda & his five brothers for manufacturing PVC footwear & anodizing units. 1980 – Prince Group expands its product lines & attains leadership in Housewares, PVC Pipes & Fittings, Material Handling Crates. 1990 – Prince Group expands consistently, achieving leadership in its product lines. 1997 – Decentralization of the Prince Group into independent entities after entry of the second generation in the business. 1997-2010 – Kishore Chheda Group evolves under Princeware, initiating business of housewares, thermoware & molded furniture. Retains its position as India’s No. 1 manufacturer & exporter in all the 3 categories. 2010 – Kishore Chheda Group decentralizes its operations & PrinceCare Realty is formed as an independent entity, spearheaded by Dharmesh Chheda.